Having epilepsy may increase life’s risks, at least for some. Should you be taking special safety precautions? A lot depends on the kind of seizure you have, how often they happen, and the kinds of things that are important in your life. 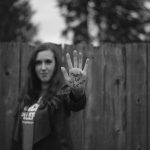 When you have the tendency to have seizures, you have to strike a balance between the way you want to live your life — your personal freedom — and your personal safety. If you have very brief staring episodes, or only have seizures while asleep, your chance of being injured is probably low. People with frequent seizures that affect consciousness and happen without warning (especially convulsions and drop seizures) are the most likely to be at risk of injury. Studies show that only about 1% of seizures actually result in injuries. Accidents are not evenly distributed among epilepsy patients; those with accidents have usually had more than one. 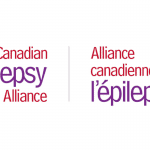 Overall, the annual chance that a person with epilepsy will visit an emergency department because of an injury as a result of a seizure is estimated to be 5%. Certainly, activities taking place at heights, near water or some other hazard increase your risk of being hurt if you are prone to having seizures. So ask yourself: Can this activity be made safer? Is this activity important enough to me to take the risk involved? Each of us—and our families—has to weigh how much we value an activity against any risks of injury it may carry. Sometimes the answer depends on individual health, preferences and lifestyle. Make decisions that will have a positive effect on your life! People with epilepsy should not be overprotected. Remember, restrictions will not ensure that accidents will not happen. When some risk is unavoidable, it is important not to over-react, since unnecessary restrictions on one’s independence (especially on children with epilepsy) may cause greater harm that the potential accident. The information below will help you think about any risks you may face and offer ways to help you live a safe and active life. Take some time to set up those basic safety procedures that directly apply to your seizure pattern. Then concentrate on all the things you can do. The goal is to balance safety concerns with the way you want to live your life— well. Do the people around you know how to help if you have a seizure? Make sure your family, friends, teachers or coworkers know seizure first aid. Hang up a first aid poster in a prominent place. You and your family should know first aid for choking. Wear a medical identification bracelet or necklace (available from Medic Alert by phoning 1-800-668-1507). Avoid things that trigger seizures, like forgetting to take your medication, not getting enough sleep, or drinking alcohol. Carry a small, portable, pre-programmed phone or beeper in case you have to call for help and you are away from a telephone. Have you ever fallen or been burned during a seizure at home? Making specific changes around the home can significantly reduce such injuries. Pad sharp edges of tables and other furniture. Don’t leave drawers open. Place non-flammable secure barriers in front of hot radiators, heaters and fireplaces. Use “automatic shut off” appliances, power tools, etc. whenever possible. Be careful of irons, hair dryers, lawn mowers, saws, sewing machines, etc. Securely lock outside doors if you tend to wander during a seizure. Consider placing an alarm on an outside door to alert others. If your seizures are very frequent and sudden, consider wearing a helmet with faceguard and/or knee or elbow pads, at least when you’re at home alone.